If you have missing teeth, or damaged teeth that are not salvageable, you are probably looking into replacement options. Dental implants in Moorpark, CA, are an amazing permanent solution. They are simply implanted into your gum tissue where a tooth root would be. They look, act, and have the same strength as real teeth! You can replace all of your teeth or just a few, as dental implants are done individually. Dental implants are artificial teeth inserted into the gum tissue to provide the look and feel of natural teeth. First, a titanium root is implanted into the jaw, taking the place of a natural tooth root. Then, the replacement tooth or bridge is attached to that root, giving you a natural-looking smile. Implants don’t come loose like dentures or bridges; they are permanently attached and last for years. Dental implants require that you have healthy teeth, bones, and gum tissue. Since the implant root is attached to the bone structure in your jaw, the bone has to be strong enough to support the material and withstand the pressure of your mouth. If not, you may require a bone graft to create enough supporting tissue for the implant. Additionally, if you have any active tooth decay, infections, or gum disease, it must be taken care of prior to beginning treatment. If you have a healthy mouth and want, or need, to avoid dentures and bridges in favor of a more permanent treatment, dental implants may be right for you. 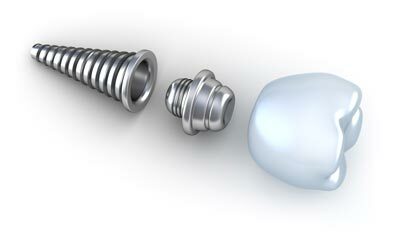 After the implants are placed and as your gums heal, the metal will fuse to the bone in your jaw. Until everything has healed completely, you will be advised to eat soft foods and be gentle with the area where the implant was placed. After healing, it is crucial to stay on top of dental hygiene and have regular checkups with your dentist to ensure that the implants are successful and continue to last through the years. 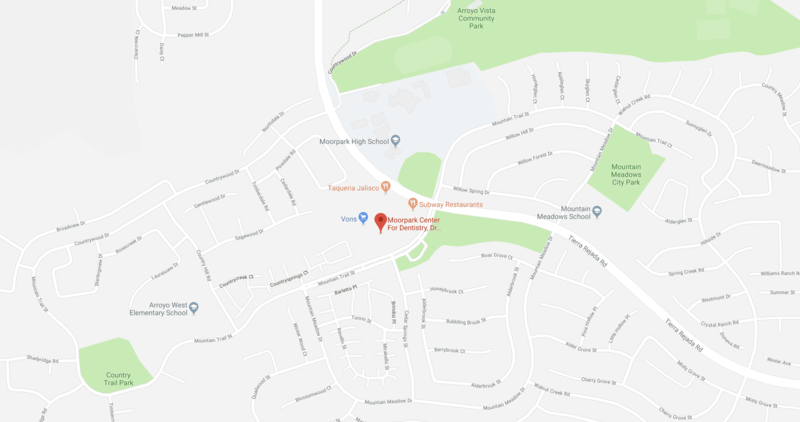 Contact Our Friendly Office for Dental Implants in Moorpark, CA! To learn more about dental implants and 5-star-rated dental care from Moorpark Center for Dentistry, contact our friendly office today! Simply call 805.243.3999 or click here to schedule your complimentary Moorpark Center for Dentistry New Patient Exam. Your new patient appointment includes a review of your dental and medical history forms, digital x-rays, and an in-depth consultation – for FREE! Plus, you can add an oral cancer screening and teeth cleaning for just $97! Call today – we can’t wait to help restore your smile!